I agree that access to technology may be an issue (for now), but the barrier is continuing to drop. Frame it in terms of Moore’s Law or Kurzweil’s Law of Accelerating Returns, but either way, the rate at which technologies become more powerful and robust continues to increase, while the costs associated with producing them goes down. Based on this, the question of whether an individual from a lower income bracket can gain access to technology may become a moot point. And I don’t think that means that all of a sudden everyone is going to have a computer at home. But what it could mean is that the ‘have-nots’ will get on equal footing via technological leapfrogging. As upcoming mobile technologies continue to transform cellphones into portable, handheld computers, it’s not hard to imagine that there will be a segment of the population that goes straight from no access to having smartphones that keep them fully connected. If you take a look at the latest Mobile Metrics Report by Admob, you’ll see that the mobile web has been experiencing massive growth globally. (ReadWriteWeb summarized the report nicely here). So, in my mind, we don’t have to be in fear of a growing digital divide – if anything, we’re going to see it exponentially shrink. Yes, I certainly agree with this. Schools, like governments, are institutions that are notoriously slow to adopt new practices and adapt to change. By resisting integration of some technologies and blocking access to others, schools are creating the potential for a huge shake-up in the trust and validity we put into them. Social Media isn’t a wild animal that needs to be caged and trained before it’s allowed to be pet by the neighbors. Social media is a paradigm shift in how humans communicate. If schools stop teaching students communication skills, we’re in trouble. I don’t know if this is a case of ‘innovate of die,’ but if educational institutions don’t wake up, there will be a groundswell, and ‘the people’ will create solutions that are not dependent upon traditional learning structures. I’d argue that in many ways this is already happening just in the act of participating in the social web. There’s so much to be said on that idea alone, I’ll save my expansion on it for an upcoming post. Like any project that is pursued with enthusiasm but without structure, trying to integrate social technologies into the classroom without a framework will fail. There are many, many individuals and organizations busy developing guidelines and best practices for how to teach ‘new media literacies’, so I will just provide a few examples as a reference. The MacArthur Foundation launched a $50 million digital media and learning initiative a few years ago, and has funded many great projects already. One that immediately comes to mind is New Media Literacies, a project pioneered by Henry Jenkins and the Comparative Media Studies program at MIT, which has a wealth of information to help educators effectively integrate new media into the classroom. There will be a learning curve, especially since best practices are still being established, but fear cannot be the determining factor in whether technologies are implemented or not. I think this whole conversation requires a reorientation of how ‘social media’ is approached. Defining it as something that can exist separately from education is simply misguided. Information is coming at us at a dizzying pace, and social technologies are tools that help us filter the flow. They allow us to share, discover, and grow. We can digest information together, collaboratively refine our thinking, and restate ideas in new ways to help make sense of it all. In essence, social media is a mandatory 21st century literacy, a set of communication skills that MUST be learned if we want to prepare today’s youth to be able to participate effectively in the global marketplace. Nice write-up. Made me think of a talk dana boyd gave entitled,“Living and Learning with Social Media” She basically takes on assumptions about social media being an equalizer in the classroom. Made me question some of my own assumptions. “Social network sites are not like email where it doesn’t matter if you’re on Hotmail or Yahoo. Teens who use MySpace can’t communicate with those on Facebook and vice-versa. So if you don’t participate, you’re written out of the story. This means that divisions are re-inforced. Forget all of the rhetoric about how the Internet is the great equalizer – it’s the great reproducer of inequality. More importantly, I’ve listened as many of you have talked about doing things on Facebook because “everyone” is on Facebook. What about those who aren’t? What happens to students who enter this university only ever having known MySpace? Are there differences in skills that need to be taken into account? What about familiarity and networks? What happens at school when everyone has been using Facebook for years except you? More problematically, I’ve heard many of you talk about using Facebook directly in the classroom. And I’ve heard you talk about recruiting through Facebook. What kinds of assumptions are you making? Are you aware of these issues? Thanks for sharing that, Emily. I’ve read several papers by her, but I think that one was new to me. I feel like her ideas about the 5 properties & 4 dynamics of social networks would be interesting to explore through the lens of Walter Benjamin’s ‘The Work of Art in the Age of Mechanical Reproduction’ (http://www.marxists.org/reference/subject/philosophy/works/ge/benjamin.htm) and Jean Baudrillard’s ‘Simulacra and Simulation’ (http://en.wikipedia.org/wiki/Simulacra_and_Simulation), to have a better framework for understanding how we view ourselves, identity, and interaction in these virtual spaces that exist outside of space/time. really interesting. thanks for helping me make that connection. Vanessa, I think you provide a strong challenge to Merrow’s fears, and I agree with you that we need to reconceptualize how we think of social media and the related new literacies they inspire when it comes to education. In effect, schools need to undergo a transformation — one that is supported not only by technology resources, but also by critical, innovative, and sustained professional development (PD). In terms of teaching and learning, this PD will focus on getting teachers to see and experience the potential of the classroom as a new “learning ecology.” I’ve been working with colleagues here at NC State to capture what this new learning ecology is, along with identifying the characteristics of the teaching and learning therein. Part of our work involves looking at 1:1 laptop environments as a catalyst for a new learning ecology (NC is a 1:1 laptop initiative state), but we don’t see the ecology as exclusive to those environments. I think the issue that Emily raises through danah’s talk points to the importance of good PD models for teachers, in addition to teachers being intentional about developing an informed approach to integrating new literacies, emerging technologies, and social media into the classroom. 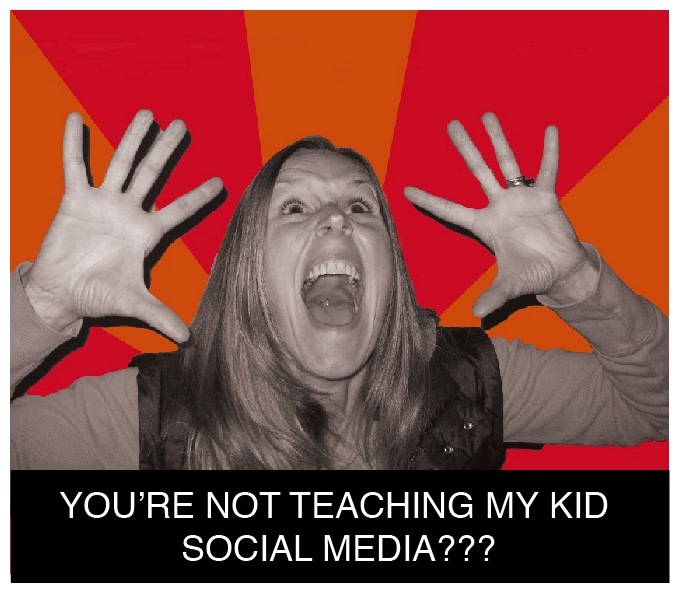 They have to be literate about social media themselves, and they have to help students develop critical media literacy with regard to the tools they are using inside and outside of school. The following link is to a paper I co-authored with colleagues earlier this year entitled, Toward a New Learning Ecology: Teaching and Learning in 1:1 Environments: http://bit.ly/4Ci3WE. Given the conversation above, you and your readers might find it interesting. I’d definitely be interested in your thoughts, and those of your readers. Thanks! Carl, thank you for the link to your whitepaper, I just finished reading it. Many of these thoughts are exactly inline with a concept I’m developing, which at the moment I’m calling “metathinking.” (https://emergentbydesign.com/2009/11/15/a-metathinking-manifesto/) In essence, it’s calling for “a new thinking ecology”, so your paper will actually be helpful as I develop my ideas. I’m definitely going to include this paper on an upcoming blog post I’m writing, which will be a list of resources for educators to understand the importance of social media and a guide to which tools to use and how/why. – “…we know that simply having access to information and tools does not necessarily mean that the access will result in teaching and learning outcomes. That’s an argument the naysayers are quick to use as a reason NOT to integrate social media, so I think it’s important and intelligent that it was acknowledged as a challenge right up front. It’s impressive that, as educators, you acknowledged this fact. It’s frightening to think of the implications of what will happen when “collaboration and innovation” are recognized as some of the most essential 21st century skills for students to learn in able to be able to function in the knowledge economy, and the schools aren’t facilitating it. Another crucial point, and one that institutions are generally resisting. Handing over information is like handing over power. This ties in nicely with my thoughts that social networks are actually a collectively intelligent entity, and each of us is a node in that net. Because of the increase in the flow of information in our lives, we need to chew on ideas with our networks, which are extensions of our own brains. On Twitter, we post a link to something we’re reading, and it gets retweeted and talked about. Conversations happen around the information, in real time. All three of these statement highlight the role of “teacher as curator”, an emerging trend in the evolving role of educators in an information economy. This statement was very powerful for me, and totally caused a snowcrash. I’m going to spend some time exploring the new connection. I really enjoyed the diagram of Bloom’s Revised Taxonomy as well, which was drawn as a pyramid where the fundamental skill of “remember”was replaced with “create”. Over all, I think it was a great outline of the challenges we’re facing, along with a solid set of strategies to implement in order to face them. Nice article. I’m thinking about students in my school district. Those families who can’t afford computers certainly can’t afford mobile phones for their children. They have greater needs like food and shelter.